Quality construction and high grinding efficiency. For crushing rock like limestone, shale, marble, sandstone, etc. and recycling. Easy maintenance and simple-to-operate hydraulic adjustment. High throughput and large reduction ratio. Roc Impact impact crushers are renowned worldwide for their quality construction, crushing efficiency, versatility and profitability. Curtain linersAll curtain liners are interchangeable. Having the same size simplifies the need for parts. Hydraulic opening coverQuick replacement of worn parts. Positive locking of the rotorUsed when changing the bars. Hydraulic cleaning curtainRemoves oversized stones. Feed openingThe impact crusher has a 45° feed hopper with replaceable lining. Hydraulic cavity clearing curtain. Blow barWear parts made of manganese steel, iron or chrome depending on rock type. Reversible beaters. Our impact crushers are designed to refine coarse, friable materials. Roc Impact produces a full range of impact crushers that combine wear resistance, a powerful rotor and special grinding cavity. With their low maintenance requirements and easy operation, our range of impact crushers offers excellent performance and high quality yield. 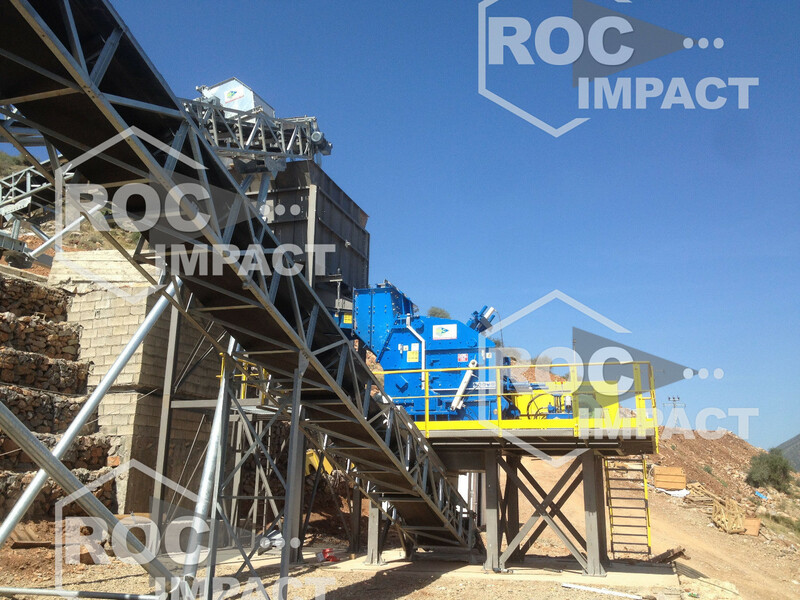 To minimize investment and operation costs, Roc Impact impact crushers yield a fine product with few crushing steps. The general optimization of the machine's design allows for a large feed size, generous grinding cavity and a rotor designed for any application, all to increase production capacity. The rotor is designed to produce the best possible reduction and the highest possible grinding capacity. 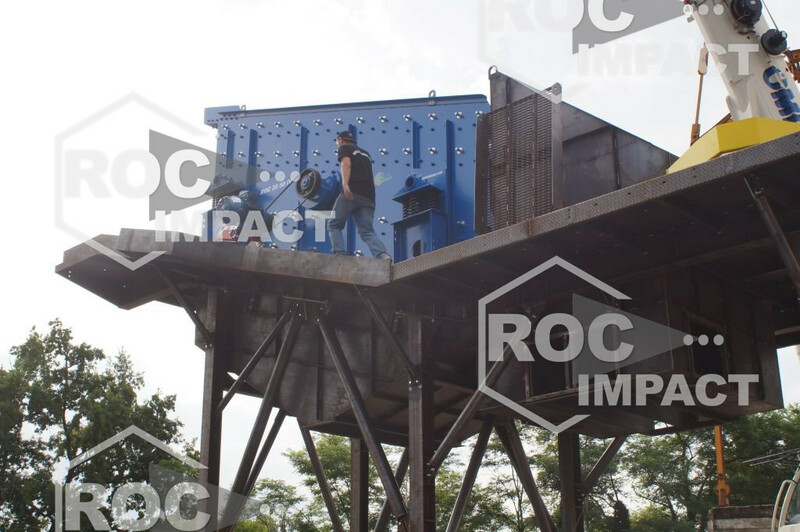 To ensure the high quality of our products, Roc Impact impact crushers are equipped with a single oversized rotor while using the same size blow bars in both the primary and secondary crushers. Roc Impact crushers are designed for any type of application and various types of configuration: from grinding low abrasive materials to industrial applications and recycling. To make maintenance easy in various types of set-up, the blow bars can be changed either vertically or horizontally. On a machine, the parts do not wear out at the same rate. Here, they are interchangeable in order, again, to minimize the cost of maintenance. * Capacity shown is based on a regular supply of clean, dry limestone of standard hardness with a bulk density of 1.6 tons/m3. 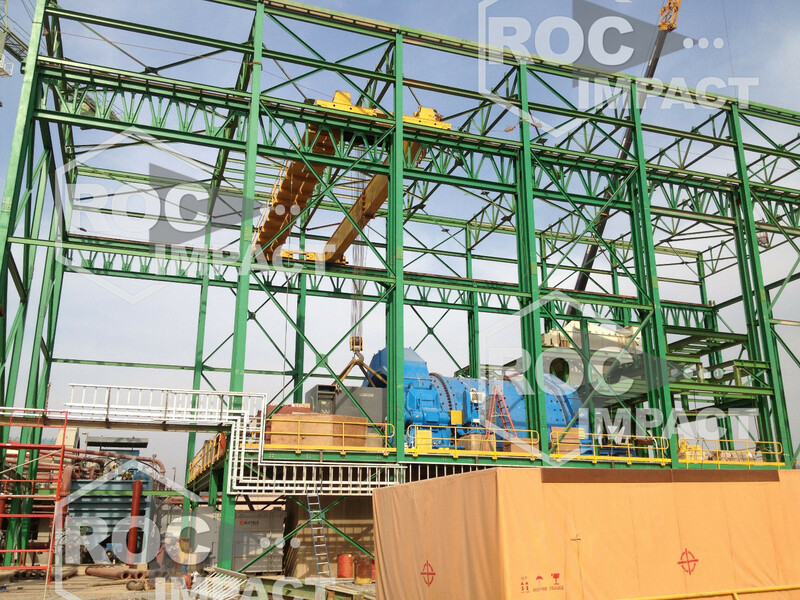 Capacity may vary depending on the size and nature of the rock and the operating conditions of the plant.